I have to admit, when I first came across this software last week I was instantly impressed. I’ve had a fascination with software that allow you to visualize and comprehend information in different and exciting ways. Bee Docs Timeline, an application for Mac OS X (sorry Windows and Linux fans), is a great example of how to create and present smooth, professional looking timelines in a relatively easy fashion. 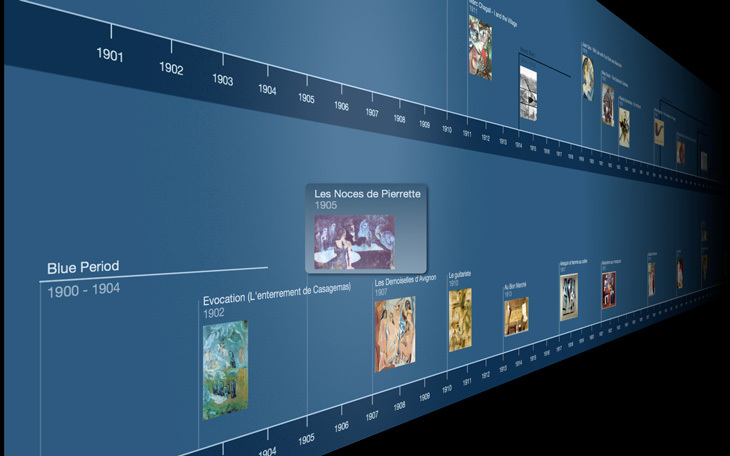 “Bee Docs Timeline is software for Mac OS X that makes it easy for you to present historical events in a way that reveals connections and clarifies relationships. This application has a number of features, the most compelling being the ability to view the timeline in 3D, and even save it as a movie (Quicktime). Not only can you create and import traditional timeline data, but you can also import from iPhoto, iTunes, and RSS feeds. For illustration purposes, I created a 3D timeline video of my blog posts for the last few months (albeit less frequent posts than normal thanks to Twitter).